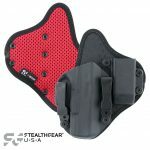 The Ventcore® IWB Mini holster is the most comfortable, breathable, and versatile hybrid holster on the market when it comes to concealed carry. Our patented Ventcore technology features strategically placed laser-cut ports for maximum breathability, ergonomically padded cells, and a backing of high-performance mesh that wicks moisture away from the body for all-day comfort. 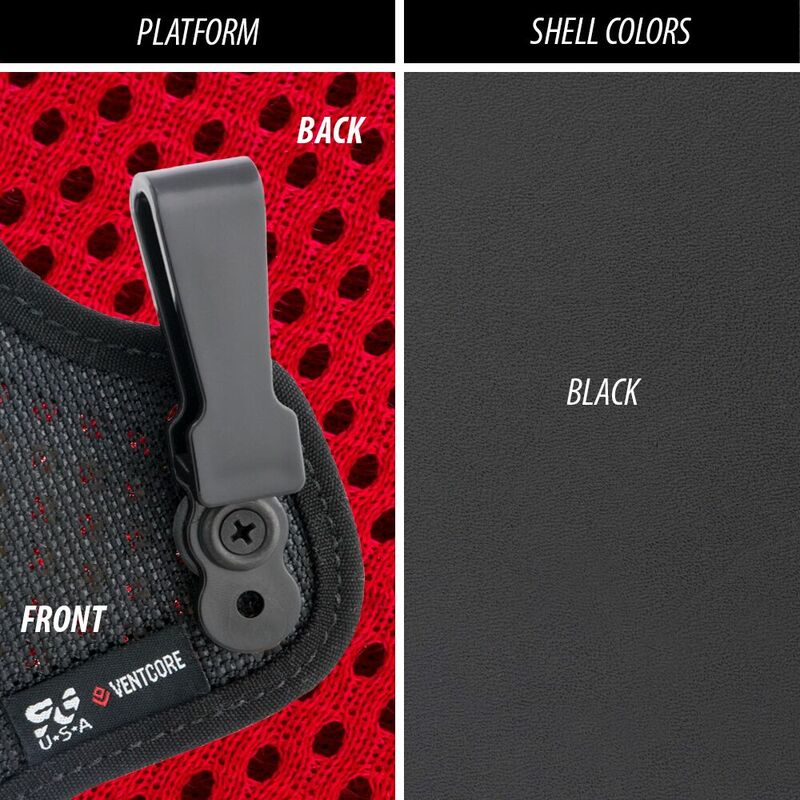 Combined with a custom-designed Kydex® holster shell to protect your firearm, our VentCore line is the “Gold Standard” when it comes to comfort, durability and innovation in hybrid holster technology. 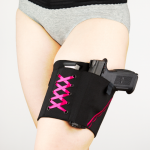 The narrow profile of the IWB Mini is ideal for compact firearms and for those seeking a concealed carry holster with a minimal footprint. 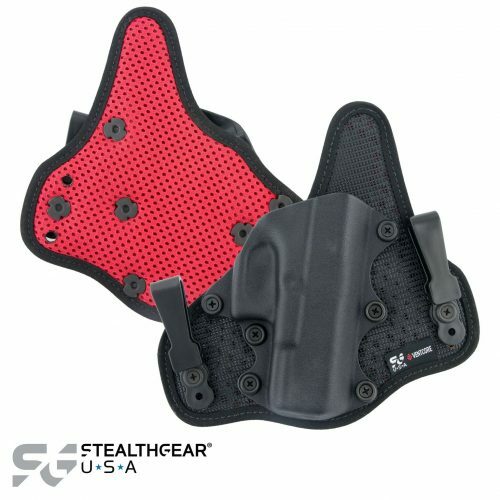 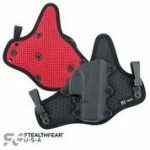 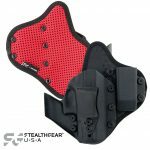 Be the first to review “StealthGear Ventcore® IWB Mini Holster (Inside the Waistband)” Click here to cancel reply.